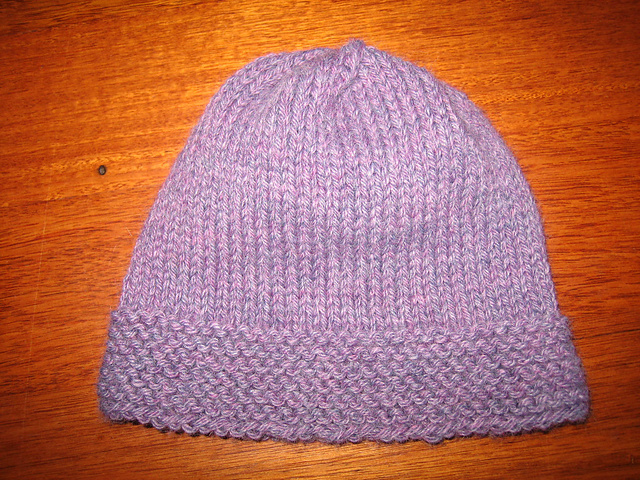 I just love the simplicity of this hat… I think it’s the yarn that really makes it work. A quick knit up, and a great gift. Yarn: Any worsted/light worsted yarn. Solid colors show off the pattern better than multis. I used Berroco Vintage in color Lilac. Continuing down until you K2TOG all the way around. Break yarn leaving an 8” tail. Weave tail through remaining stitches, cinch up, and weave in ends. All done! I loved making this hat. It was so easy. Thanks again for the pattern.